The Trump administration announced Thursday its plan to reorganize the federal government, which includes a proposal to transfer nearly all of the Office of Personnel Management’s service responsibilities and to remove the agency’s independent status. Under the plan, which was more than a year in the offing, the agency’s security clearance functions, housed in the National Background Investigations Bureau, would be transferred to the Defense Department. That proposal formalizes and accelerates a process authorized in the 2018 National Defense Authorization Act, which ordered the transfer of Defense Department security clearance investigations away from OPM. 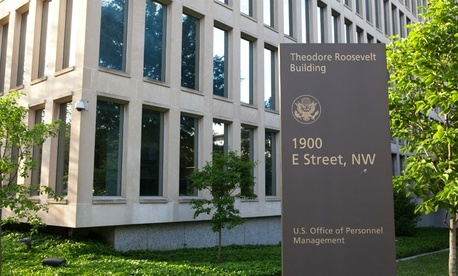 Additionally, OPM’s other service functions, including retirement claims processing, administration of the Federal Employees Health Benefits Program and other insurance programs, and HR Solutions would be transferred to the General Services Administration, which would be renamed the Government Services Agency. Most observers agreed changes to OPM on this scale would require action from Congress. But in a call with reporters Thursday, Office of Management and Budget Deputy Director for Management Margaret Weichert suggested some aspects could be done administratively. But the prospect of moving OPM’s policy personnel to the White House raises questions about the management of the agency’s transactional services while the administration waits for Congress to act. In the reorganization plan, the White House stated that OPM’s various service delivery functions hamstring the agency from effectively working on governmentwide human capital management. Weichert said the changes would allow the agency to refocus on the need to develop a 21st-century workforce. But observers were skeptical of the plan. Max Stier, president and CEO of the Partnership for Public Service, speaking generally about reorganization efforts Wednesday ahead of the plan’s release, said that OPM is often unfairly scapegoated for leadership problems that occur across federal agencies. Robert Tobias, former president of the National Treasury Employees Union and a distinguished practitioner in residence at American University’s School of Public Affairs, said removing key service responsibilities from OPM could hurt the agency’s nonpartisan reputation at a critical time, as the agency moves to implement controversial workforce executive orders and as Director Jeff Pon plans to unveil major civil service reform legislation later this year. Tobias noted that he was supportive of plans to move security clearance background checks out of OPM, arguing that unlike other support services, that process was not part of OPM’s original mission. Donald Kettl, a professor in the University of Texas at Austin’s Lyndon B. Johnson School of Public Affairs at the LBJ Washington Center, said that although the proposals on OPM are among the more reasonable aspects of the reorganization plan, their proximity with more controversial measures, like consolidating the Education and Labor departments, could scuttle their prospects in Congress. Kettl said that more work needs to be done in order to have a realistic reform plan for the federal government’s HR agency. Another aspect of the proposal that raises questions is that the plan officially calls on OPM to begin implementation of the employee digital record, a program announced in President Trump’s management agenda. An OPM spokesperson declined to comment on how it could fulfill that duty if key implementation levers, like retirement processing and FEHBP, are moved to other agencies. In an email, an OPM spokesperson said the agency supports the reorganization plan. In a statement, Rep. Gerry Connolly, D-Va., blasted the reorganization plan, and specifically called out the proposed changes at OPM.